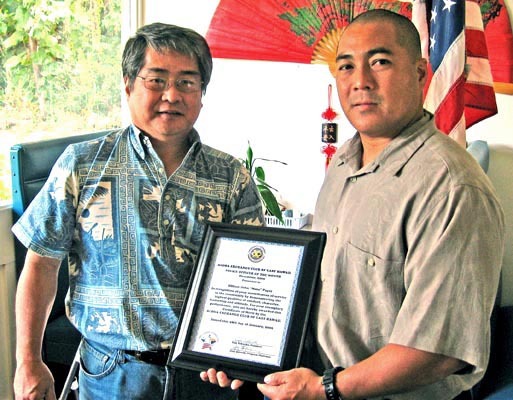 The Aloha Exchange Club of East Hawai’i recognized Officer John “Masa” Pagay on Thursday (January 28) as “Officer of the Month” for January. 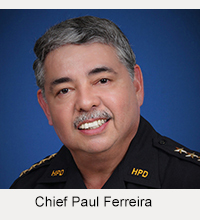 Pagay, a member of the Criminal Intelligence Unit, was honored for developing information that led to the arrest of a 25-year-old Hilo man who was charged with numerous credit card, ID theft and theft offenses. Captain James O’Connor, who nominated Pagay for the honor, said the officer has “an outstanding ability” to obtain, cultivate and verify information. 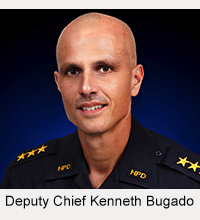 “His exceptional communication skills coupled with his seasoned investigative experience provide valuable information that develops into intelligence,” O’Connor said.